Sanitisers are a chemical used in the process of cleaning a surface to reduce the number of bacteria and micro-organisms to a save level. 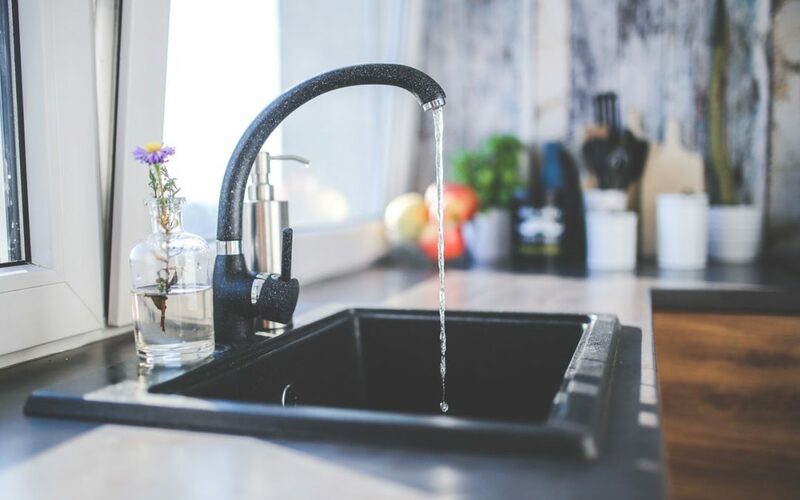 Unlike cleaning, which involves removing of grease/food/soils from a surface or object, sanitising relates directly to the micro-organisms that may be growing there. Most sanitisers need a cleaned surface to be most effective, but some will have cleaners built in to help with both roles at once. Sanitisers can have a range of base chemicals used in them, with each having their own perks and disadvantages. Advantages: These sanitisers are a fast drying product that would leave no residue as it will evaporate. Due to no residue being left behind, it is considered as safe for food preparation surfaces without rinsing. Disadvantages: As a sanitiser, alcohol based products are great on a freshly washed surface, but does become much poorer when there is protein present. Being an alcohol, it does generally have a strong smell, and with due to it being a fast drying product, it is considered a flammable risk. Advantages: Chlorine-based sanitisers are powerful germicide with wide range of microbes they can kill (i.e. bacteria, viruses, microorganisms and protozoa).Chlorine is also used as deodoriser, able to remove bad smells from a surface. Chlorine sanitisers are free of toxic residues, but some products will be blended with other chemicals that can change this, they are non-staining to a range of hard surfaces, and is generally the most economical to use as a sanitiser. Disadvantages: Due to that the chlorine in these sanitisers can begin to form gases over time, they are considered to have a short shelf life, weakening in strength over time. This may be due to heat or sunlight, and can often break down at a faster rate is stored outside or during warmer months. Chlorine is not good on skin, so care and protective equipment should be worn. It can also react with some metals, causing a corrosion of the surface, with pitting or a film forming on it, and these sanitisers will give off chlorine gas if mixed with acid-based product, which would be toxic to anyone in the area. Advantages: Sanitisers with a Hydrogen Peroxide base are effective for broad spectrum microbes, with the added benefit of it safely breaking down to water and oxygen. This can allow for safer disposal to waste waters unlike other sanitisers, which would need to be neutralised to a safe pH level before disposal. These products can also double as an oxygenated bleach for washing, without the risk of marks on clothing like chlorine would. Disadvantages: Much like chlorine based sanitisers, Hydrogen Peroxide based products have a shorter shelf life, depending to heat and sun exposures, and can be very reactive at concentrated levels on certain surfaces, with its strong oxidising ability potentially able to increase heat in the solution and even cause a fire or liquid explosion. Advantages: Iodine based sanitisers are considered to have a very stable, long shelf life, and are active against the majority of microorganisms (with the exception of bacterial spores). These sanitisers are also generally unaffected by hard water salts, unless there are chloride salts in high excess. Disadvantages: Being that iodine based products are not as effective against spores as other sanitisers (i.e. chlorine based ones), it may not help in stopping further outbreaks of bacteria in an area, but does eliminate the issue at hand. Iodine based sanitisers also can be rather expensive, can stain some porous metals and plastics, and will be less effective as a sanitiser above a pH of 7. Advantages: Peracetic acid, also known as a peroxyacetic acid, or P.A.A for shot) is considered a wide spectrum sanitiser. It is useful against both gram positive and negative bacteria, spore forming bacteria, viruses, bacteriophages, yeasts and moulds. P.A.A is conserved as a rapid action sanitiser even at low concentrations, then breaks down to acetic acid (vinegar) and water for safer disposal of the waste water. The P.A.A based sanitisers have very low toxicity and a low corrosiveness at the recommended usage concentrations. You will not get any staining or foaming with these products either, allowing for use in a variety of areas. Disadvantages: A concentrate of P.A.A does have a very strong vinegar odour, but once diluted to right levels is not an issue. You do also have to be careful with the handling of the concentrate, which is a corrosive product. Similarly to the Hydrogen Peroxide based sanitisers, can become reactive. While very effective, P.A.A sanitisers are generally expensive, with a more limited shelf life than other sanitisers out in the market. Advantages: Quaternary ammonium based sanitisers are a product that is active against a large range or micro-organisms, with a stable and long shelf life. By forming bacteriostatic film, it can limit the regrowth after cleaning. At its correct use concentrations, the Quaternary Ammonium sanitisers are mostly non-corrosive and non-irritating (unless mixed with certain agreements), and considered a stable sanitiser around organic matter and temperature changes and will give a good penetration. Disadvantages: Quaternary ammonium sanitisers are generally a more expensive than chlorine based sanitisers, and there can be residue issues if used in excess to the recommended usage rates. These sanitisers can have some foaming issues under certain mechanical applications and will give different efficiency rates, depending on germ types. Adsan LN1176 – A non-rinse sanitiser designed for tables, benches and non-food contact surfaces.